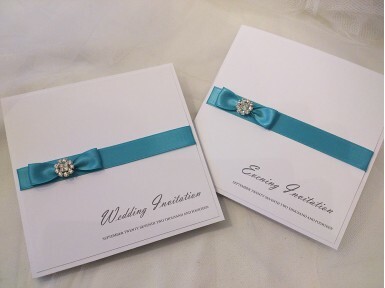 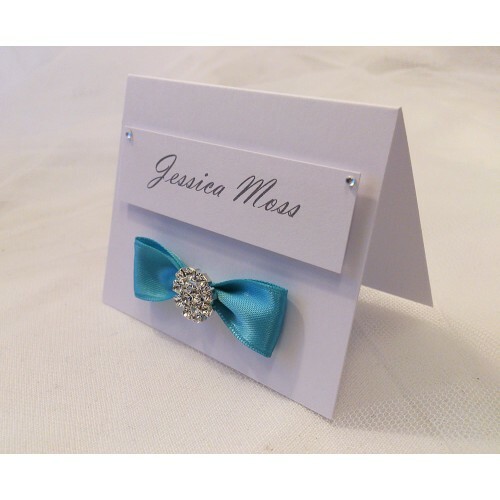 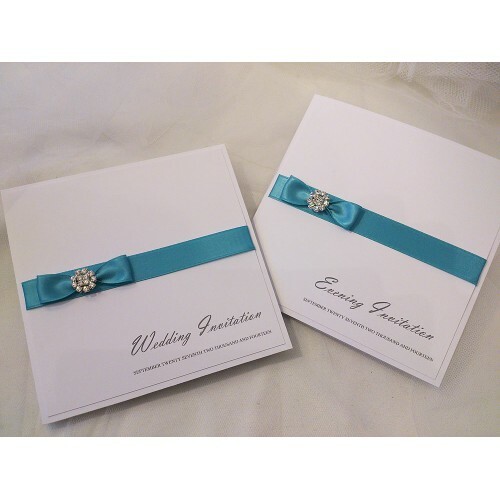 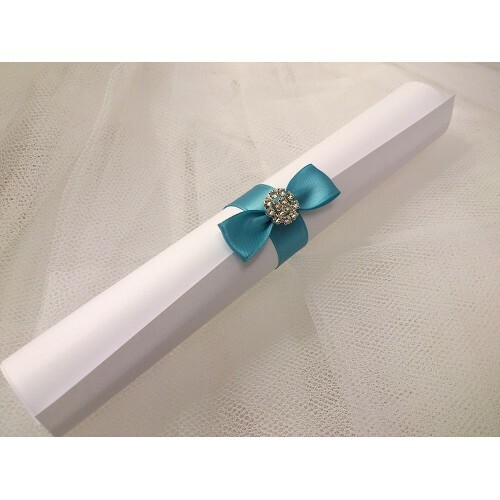 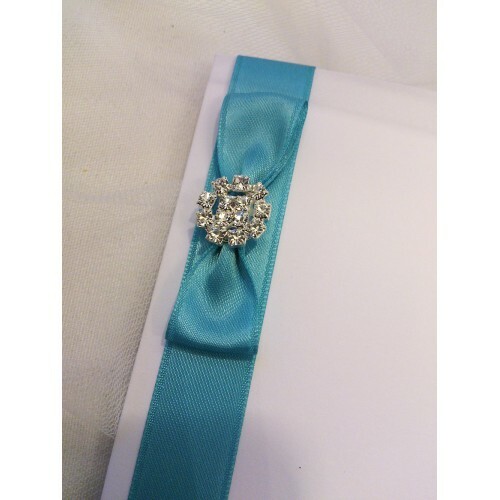 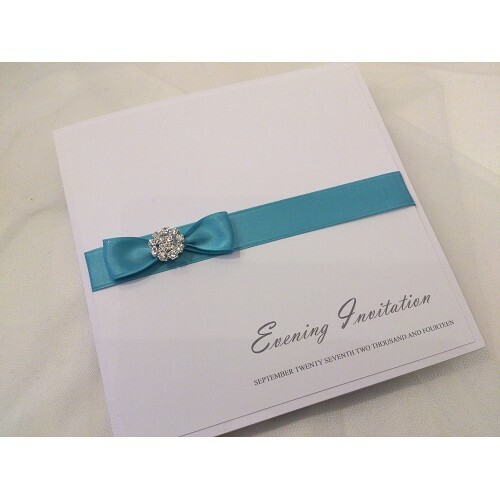 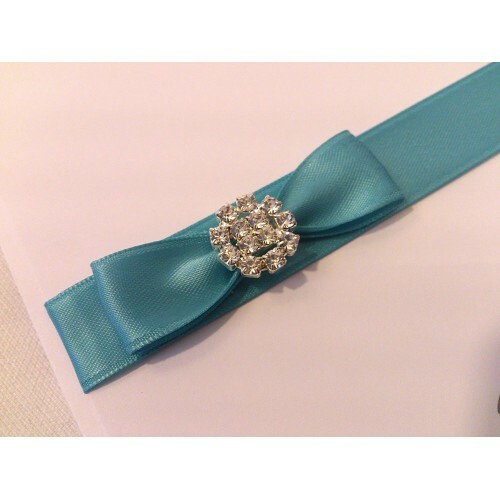 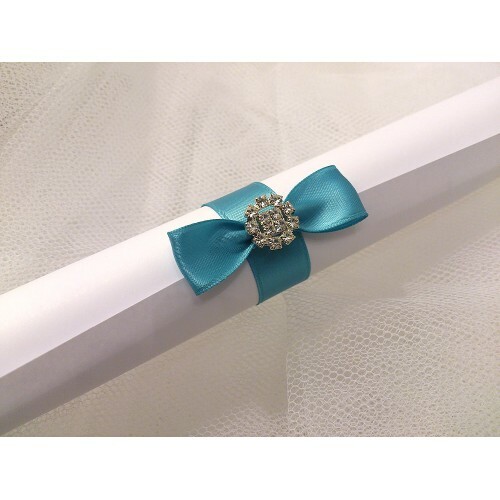 A beautiful sparkling charm is set upon a handcrafted bow in a pocketfold invitation. 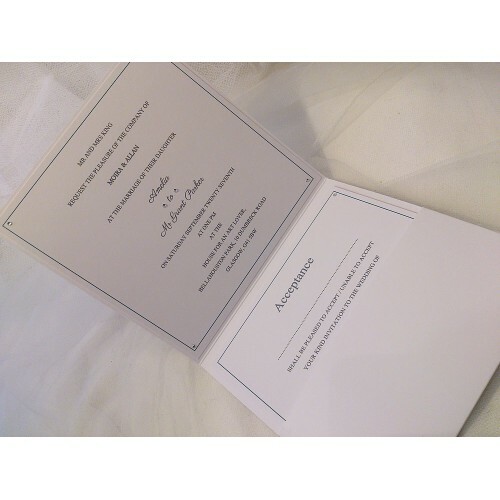 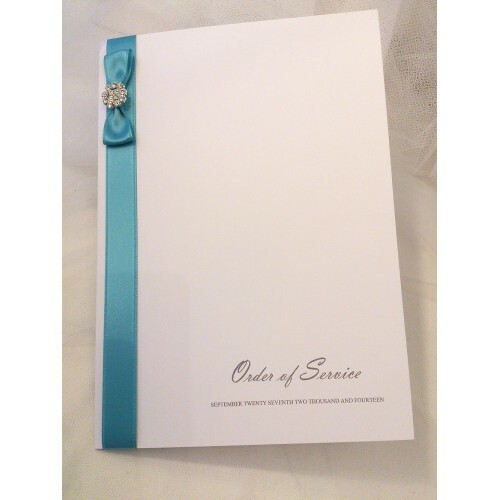 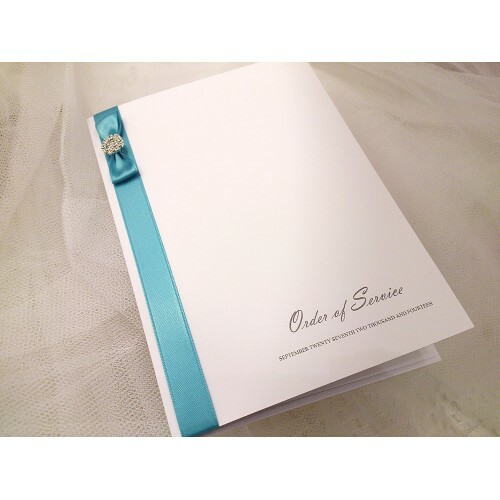 The names of the Bride and Groom can also be added to the front of the card if you wish. 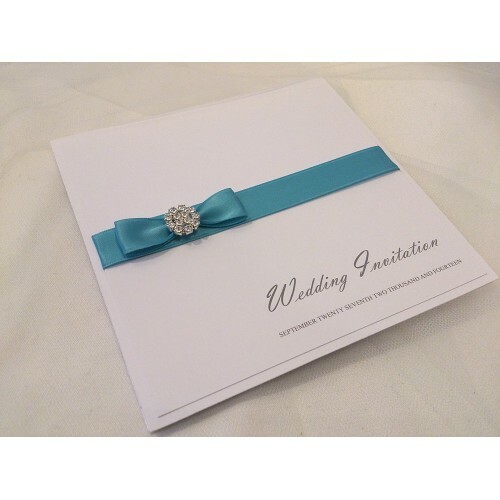 This design also comes in a classic opening card. 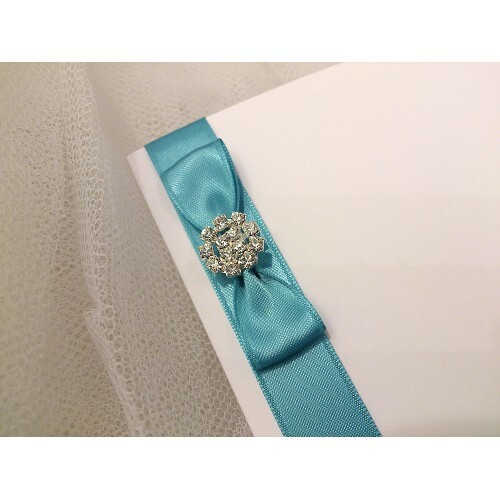 A variety of ribbon colours are available.